Among numerous dried fruits of the world, queensland nut has the highest economic values, and that's why it enjoys the title of the "king of all dried fruits". 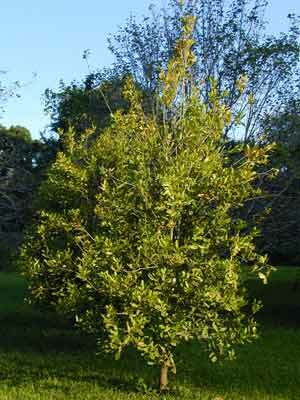 Queensland nut tree is a kind of tall and evergreen arbor tree, and it can grow as tall as 18 meters. It originates in the eastern coastal areas of Australia, particularly in the rain forest areas in southeast of queensland and north of New South Welsh (South latitude 20(31'-30(). The history for planting queensland nut as a kind of fruit tree is not very long, perhaps only dozens of years; however, the development of queensland nut plantation is very fast. In its homeland, the natives collect nuts from the trees for eating or making oil, which have a history of over 100 years. At that time, the largest artificial queensland nut orchard had only an area of several acres. California University of America first introduced queensland nut trees into America as ornamental plants in 1880. Thereafter, the development of queensland nut was very fast. The output of queensland nut in 1970 reached 6,000 tons. The plantation area of queensland nut trees reached 5584.86 hectares in 1981, among which, areas that were put into production exceeded 4,047 hectares, and the output reached 15,100 tons during the same year. In 1986, the output of queensland nut produced in California was 30,000 tons (please check the right figure), and the plantation area there in 1988 reached 320 hectares. Queensland nut trees were introduced into China at about 1910 and they were first introduced to Taibei Botanical Garden as sample trees. In 1931, the seeds of queensland nut trees and 500 individual young plants were introduced to China from Hawaii of America and they were planted them in Jiayi, Taiwan. In 1940, Lingnan University introduced queensland nut to Guangzhou. In 1997, the area of planted queensland nut trees in Yunnan reached 733 hectares; by the year 2000, the planting area has developed to 3000 hectares. In the recent years, many countries with suitable climate for the plantation of queensland nut trees are working positively to develop the plantation areas. At the present, queensland nuts are mainly produced in America, Australia, Kenya, South Africa, Costarica, Guatemala, and Brazil, etc. Other queensland nut producing countries include Fiji, New Zealand, Zimbabwe, Aesopian, Venezuela, Mexico, Peru, Salvador, Jamaica, Cuba, China, Indonesia, Thailand, and Israel, etc. In 1993, the output of queensland nuts of the world amounted to more than 30000 tons in about 20,000 hectares or areas, and they were mainly produced in America and Australia (above 90% the global output). From 1995 to 1996, the total plantation area of the seven major queensland nut producing countries totaled to 43,300 hectares and the nut output amounted to 60,700 tons. The output of queensland nut kernel was 17,300 tons in 1997. In spite of this, the output of queensland nut still could not reach 0.1% of the global total output of dried fruits. It is still in a situation that demands exceed supply on the world market; at the same time, the demands for it on the domestic market is also looking to further increase. Queensland nut trees have many varieties. Of them, only two varieties are edible and have economic values, i.e. the smooth shell variety and the coarse shell variety. The kernel and oil contents of the coarse shell variety are all less than those of the smooth shell variety; the quality and the flavor of the kernels made out of the coarse shell variety are not as good as those of the smooth shell variety too. Besides, the coarse shell variety nuts are prone to turn brown in the process of frying. The sugar content of the coarse shell variety is higher than that of the smooth shell variety; therefore, the promoting variety at the present is the smooth shell variety, because its production cost per mu (1mu = 1/15 hectare) is within RMB 200, but its output value can be as much as 2000 Yuan. The coarse shell trees can be planted as ornamental and forestation trees, and can also be used as base plants for grafting smooth shell branches. Under proper conditions, queensland nut trees may have considerable yields after planting 6 to 7 years, and their most prosperous period can be as long as 40 to 60 years. If the trees continue to grow, the yields will continue to increase. Queensland nut seeds are ball-like in shape and milky white in color with a diameter of about 1.2 to 3 cm. The oil content of the seeds is 60% to 80%, protein and carbon compounds take up 9% of the contents respectively. Queensland nut seeds contain enriched calcium, phosphor, iron, amino acid, vitamins B1 and B2 etc. After being fried, the kernels are crisp, fragrant, and tasty. The kernels are widely used for making dishes, biscuits, breads, refreshment, sweet, chocolate, and ice-cream etc. In the meantime, the kernel oil can also serve as a kind of natural salad oil. Therefore, in the recent years, queensland nut is quite popular in all over the world with continuously increasing price, and it has become the most popular high-rank nut on the international market. Queensland nut trees are quite beautiful in appearance. They have luxuriant branches and leaves; their flowers are beautiful and sweet; and their woods are hard and dense. Queensland nut wood can resist diseases and moth; therefore, queensland nut trees are not only good for gardening, but also for their timber property.